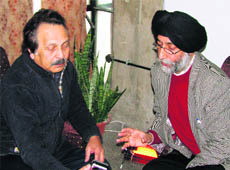 Conservationist Bill Kataky from Britain (left) and Balvinder Singh (right) discuss restoration of the Golden Temple in Amritsar. Historic building conservationist from Britain Bill Kataky has asked the SGPC and other authorities concerned to consult conservation architects before heading to repair the Golden Temple complex. He was here today to hold consultation with Balvinder Singh, conservation planner and head of Guru Ramdas School of Planning, Guru Nanak Dev University. Kataky said conservation was akin to reviving and preserving architecture built centuries ago. “It is literally inheriting and maintaining legacy of once ancestors,” he said. Citing the example of two world famous sites in India, Amritsar’s holy Sikh shrine and Agra’s Taj Mahal, he said both were in deplorable condition. He added that expert guidance was required to maintain the old charm with help of new technologies. He said there was a necessity to tighten laws in order to preserve heritage buildings otherwise private institutions would cause harm to these old structures. He also advised conservationists not to be overzealous in their approach. 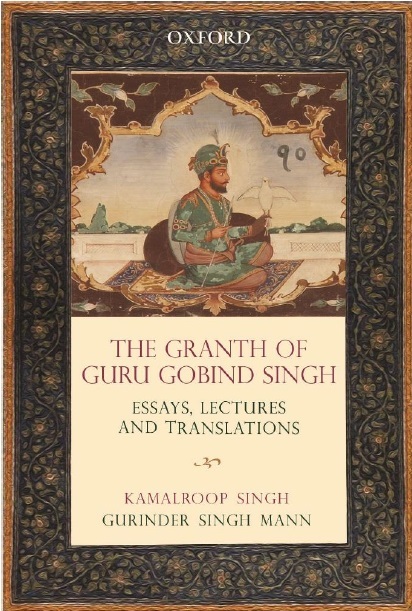 Balvinder Singh said following the directions of the GNDU Vice Chancellor AS Brar, Kataky was working to ink memorandum of understanding (MoU) between Guru Ramdas School of Planning and School of Architecture and Britain’s Planning and Landscape of New Castle University. Balvinder said the MoU would facilitate exchange programme for faculty and students. He said the British University was known for expertise in architecture and landscape planning. He said the exchange programme would help students here to gain a global outlook.